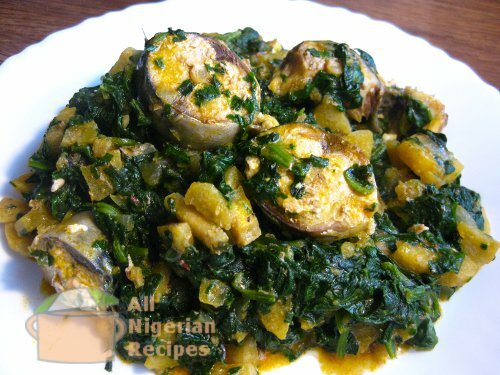 This fast and easy recipe is cooked with unripe plantains which are known to be rich in iron. 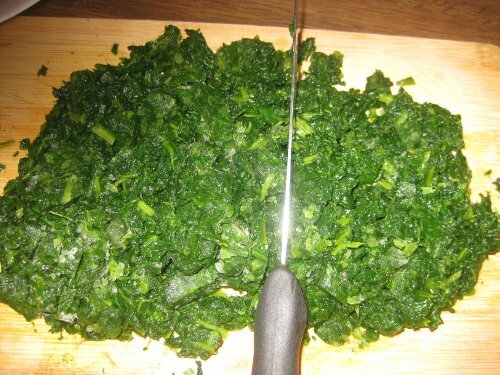 Rinse and cut the pumpkin leaves into small pieces. 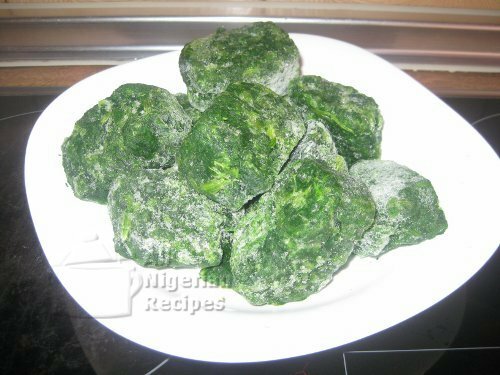 If you will be using frozen spinach, allow to thaw just enough to let you cut them into tiny pieces. 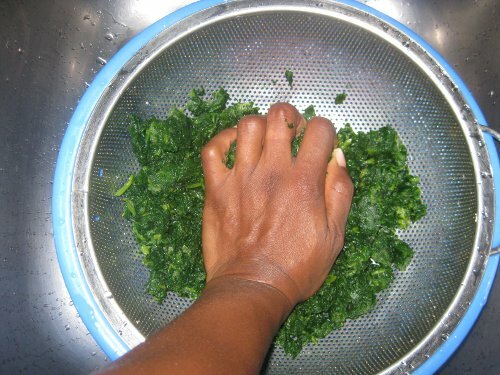 Leave to thaw completely and squeeze out the extra water using a sieve. Wash, cut and remove the fish intestines. Grind the crayfish and pepper. 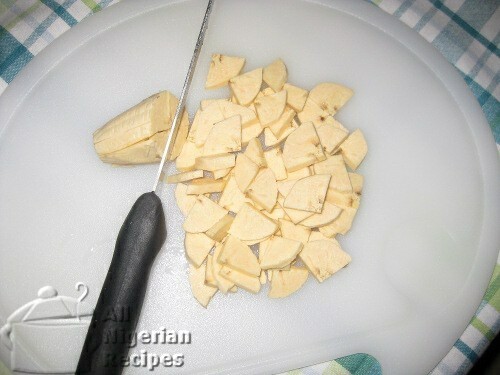 Serve with chilled soft drink or fruit juice.